For quality Garage doors and Fencing in Canberra – the name is WR. We are B&D accredited for providing garage doors, garage door installation, repairs, servicing, garage openers and remotes. We also provide Colorbond fencing by Lysaght, metal fences, metal screens, metal gates and durable garden sheds to Canberra and surrounding region. We only keep good quality products and offer them at affordable prices. At WR, we believe in serving every customer with utmost professionalism and integrity. WR has been serving Canberra for over 50 years. We are a local, family owned business and proudly support Canberra communities, charities and sporting teams. We love Canberra just like you do, and have served thousands of customers over the years. Below are our service offerings. We are just a call or an email away to answer any question you may have. Thank you for visiting our website and we would love to have an opportunity to help you. 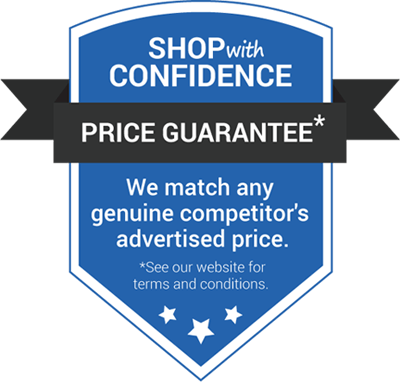 Our Shop With Confidence Price Match Guarantee means we match any genuine competitor’s advertised price! No job is too big or too small. Call our friendly staff to discuss in detail. Just a big thank you to the two guys who fixed my garage door this morning. They were professional, to the point, knew exactly what they were doing, explained what was required and got on with it. Please pass on my thanks.